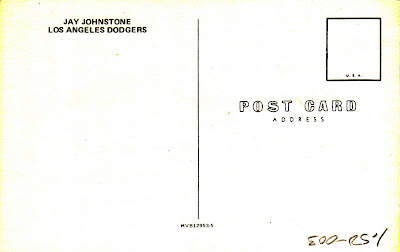 You mention "KVB" but the list says "KV8"
The Dodger post cards I have -- which came all in one set -- have the KVB notation on most of them, although some list it at the bottom middle, and some where you place the stamp. 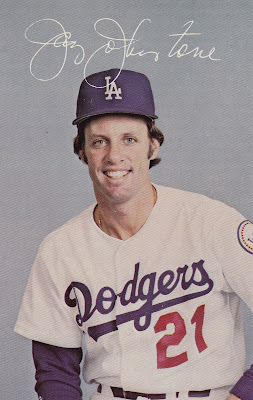 Some have the KVB notation but the number doesn't have a hyphen with a single number at the end. Then there's others that say "crocker" at the bottom middle with a picture of an eagle head. I apparently got some sort of franken-team postcard set. Thanks, just confirmed the physical card as "KVB" and fixed the typos. i don't have any of these postcards, but i believe gary thomasson and derrel thomas are part of the set. maybe bob welch, too.